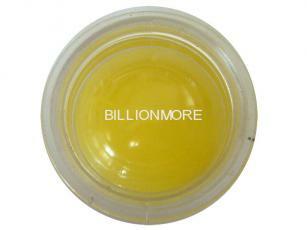 Material: LP Phaeo created this charm lip wax from many holy herbs and oils that have supernatural power about charm, wealth and auspiciousness. 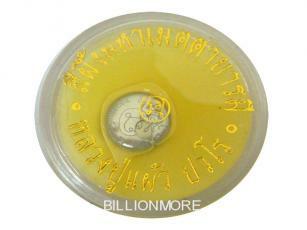 Ceremony: LP Phaeo created this charm lip wax followed ancient method that he studied from his teacher and properly blessed with special magic by himself. 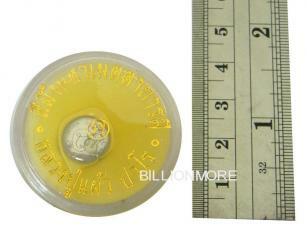 Power: See Phueng Maha Metta Baramee by LP Phaeo can make worshiper to be more charm and attraction. 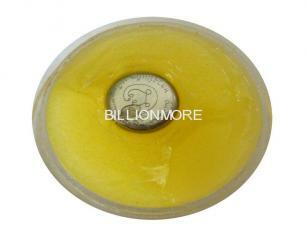 Moreover, this charm lip wax can bring wealth, good business and success in negotiation to worshiper. Presented: there is tiny holy coin in See Phueng Maha Metta Baramee to increase powerful. LP Phaeo is kindness monk that there are many people in Nakhon Pathom province respect LP Phaeo. The amulets of LP Phaeo have several supernatural experiences especial about protection. People in Nakhon Pathom province call LP Phaeo is “god of Kam Phaeng Saen”. LP Phaeo was born in 7 October C.E.1923 at Nakhon Phathom province. 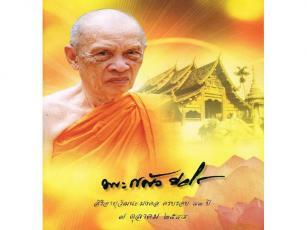 When LP Phaeo was 20 years old, he was ordained at Wat Nong Pla Lai when 27 June 1943. When C.E.1981, he studied the meditation with LP Doon who was meditation expert and top monk in Thailand.